It’s so easy to do when things are going well; when Life is rolling along relatively bump-free, it’s not a problem to feel thankful. But thankfulness gets harder when Life does. Standing in the middle of a hurricane, it’s hard to see beyond what’s right in front of you; it’s hard to feel gratitude when the storm is swirling around you and the wind is howling in your ears. But just beyond the storm, there is blue sky. We don’t always realize this, as we are too busy battling the storm to take notice, but rest assured, it is there. And with it, always something to be thankful for. Quite often, those “thankful things” are the things we take for granted; the things we don’t even think about: the warm sun on our back, the sound of children laughing, music, a warm cup of tea, friendship. The list goes on and on. 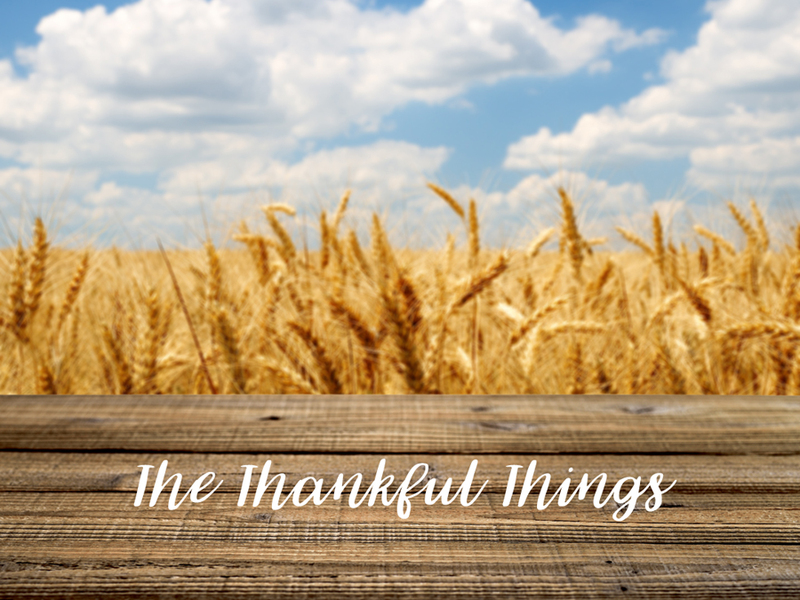 And the longer we think of these things, the more we find added to the Thankfulness List, and, well, that long list of thankfulness acts like a storm shelter. It wraps around us to help insulate against the wind and the rain. It can warm a heart that has grown cold or strengthen a weary spirit. So, if it is but ONE thing, give thanks, and watch what a mind centered on thankfulness can do.